A 40-year study that downplays the health effects of asbestos exposure for miners and mill workers has drawn the ire of several mesothelioma advocacy groups. Our Boston mesothelioma attorneys know that a hallmark of solid science is objectivity. This particular study, conducted by Dr. John Corbett McDonald of the McGill University’s School of Occupational Health, based in Canada, has been criticized for lacking transparency and for being biased toward the industry. It is a fact that the Chrysolite Institute, which is a lobbying group established to promote the use of asbestos in overseas products, uses the 40-year McGill study to bolster its claims of asbestos safety. But why would a reputable scientist risk that reputation in order to show the asbestos industry in a favorable light? According to an investigation by CBC News, it all boils down to money. Back in the 1960s, the dangers of asbestos were becoming more widely known and understood. The industry, however, didn’t want to risk government regulation. That would have meant huge profit losses and lawsuits (which later ended up happening anyway, but they were trying to avoid it at the time). Just look at the tobacco industry. There were in fact many scientists on big tobacco’s payroll who attested to the fact that cigarettes were simply a healthy stress-reliever – an account we now see as so blatantly false as to be laughable, if the consequences of those lies weren’t so devastating. But in this vein, it hired a scientist to begin research on the issue. According to CBC, it was none other than Dr John Corbett McDonald of McGill. The news station produced documents showing that McDonald and other researchers at the school accepted checks form the Quebec Asbestos Mining Association between 1966 to 1972, for amounts that today would translate into several million dollars. The results of the McGill study seem to indicate it was exposure to another chemical, tremolite, that caused mesothelioma more frequently than did the asbestos. McGill researchers reportedly refused to give the raw data to CBC reporters, but said it would be conducting an internal investigation regarding the integrity of the results. That investigation is ongoing. Now, without seeing the raw results of this study ourselves, it’s hard to make a conclusion one way or the other about whether the study was flawed. However, there is a great appearance of impropriety, whether or not the research itself remained untainted. 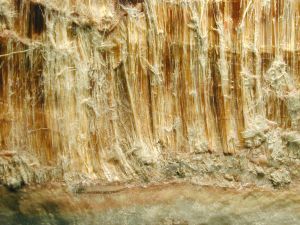 What we do know is this: The World Health Organization has concluded that all types of asbestos cause lung cancer, mesothelioma and asbestosis, and further that there is absolutely no safe level of exposure. While the substance has been widely shunned by U.S. manufacturers since the 1970s, people continue to learn they have been sickened by mesothelioma, as the disease has an extremely long latency period. People who have been exposed to the airborne asbestos toxins don’t learn until decades later that they are ill.